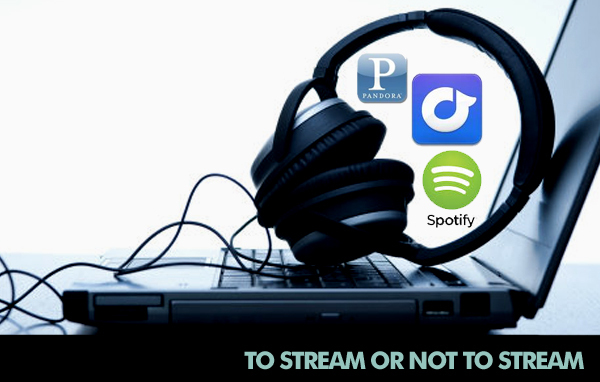 While they’re great for the consumer, music streaming services can create a quandary for musicians. As Spotify, Rdio, Pandora, and others began gaining steam over the past few years, some musicians have lashed out at the services. Often times, it’s about the small pay-outs given to artists who have their music streamed. That might lead you to believe that, as a result, smaller artists have been those lashing out, but it’s actually been bigger, more established acts like Thom Yorke, of Radiohead, and David Byrne, of Talking Heads. They have both called out the streaming services, and Yorke has even been actively pulling a portion of his music off Spotify. And their biggest argument is that big artists and labels with huge catalogs might benefit, but the smaller acts are getting chump-change. $54.40 from 7,908 plays on Rhapsody at 0.69 cents per stream. $13.38 from 387 plays on Microsoft’s Xbox Music service at 3.5 cents per stream. Indeed. Her move allows for any reader, whether he/she is familiar with the industry or not, to plainly see how it all breaks down. And for certain artists, particularly those new on the scene just trying to make a name, it can be a gamble. You know, it’s a lot like when you get started with Betfair Bingo. You’re taking a gamble by just throwing your music out there, or in Betfair’s case, your money in a round of bingo. And you’re left hoping that lady luck allows things to land your way—be it by having your numbers show up for your bingo card or getting the attention you feel your music deserves. Of course, there are ways you can take the “luck” element out of it by throwing more money into the mix, but that, too, is a gamble. The more you push your project, or try to get a winning card, the more you’re setting yourself up to potentially fail. At least in the case of playing bingo online you’re able to have some fun with it. But, to paraphrase basketball legend Michael Jordan, it’s that willingness to fail over and over that will help you succeed. Those risks need to be taken, whether you’re trying to win a few extra bucks or turn your career into something else. And that includes allowing people to hear your music on Spotify, Pandora, Rdio, and other platforms. Without doing so, you’re taking yourself out of a major pool of potential fans who will, when the time is right, spend their money to make your career a reality. There are other options available, too, where you can limit what you share with listeners such as Soundcloud and Bandcamp. Those services allow you to have more of a direct-to-fan approach, though you’re only able to actually sell music and merchandise on Bandcamp. Soundcloud is for streaming only, but it has built a gigantic following with well over 30 million users. As you can probably tell, finding a solution to this isn’t easy. If you’re a new artist reading this article, it’s important to take into the account all of the information presented and figuring out how you want to proceed. Obviously the easiest route is throwing it all out there to every possible consumer, but perhaps the better solution is to take a more temperate approach in sharing your music. Unless, of course, you’re an artist who relies heavily upon samples—see DJs and hip-hop artists—then you’ll probably want to go the free route unless you’re able to clear those samples. Andrew Fields is a freelance writer from Maine. My nephew is a musician. He doesn’t understand the controversy at all. According to him he’d rather have people know who he is, than not at all. I agree. I’m older, and from a different generation, but it still makes sense. The idea is to have the music heard, first and foremost, and services like Rdio, spotify, grooveshark, torch music and the like help make that happen. After all, how will unheard of musicians make money if no one knows who they are?? ?